Natalija Bajlo, eight-year-old author of King Burue Changes the Rules, is an extraordinary young lady who is very observant of the world around her. It is with an open heart that she adamantly delivers her message based on how she was taught to treat others. When Natalija is faced with issues at school where kids seem to act quickly to ridicule others, she does the opposite and speaks out on behalf of the one being challenged. The true beauty in her refusal to see the differences in people lends itself to seeing more of the uniqueness in them instead. A creatively active mind sets the stage for Natalija’s book. She writes with a purpose around which her narrative skillfully evolves. She will tell you that other “morals” arise as the story unravels, such as the idea of being able to love who you love regardless of what “rules” may try to condemn your union. That’s why you should never disguise your own beauty just to fit in nor should you fear or hate what is different just because you were told to do so, Natalija says. Instinct compels her to voice her opinions, which is what she displays through King Burue’s need to change a rule that was made for no apparent reason at all. “You don’t know how to hate unless somebody teaches you to hate” is what she says about obstacles of diversity. Inspired by the great messages of Dr. Martin Luther King, Jr., Natalija especially takes to heart his famous quote, “...they will not be judged by the color of their skin, but by the content of their character,” and uses the word “color” in her story to represent all perceived differences between the characters. Illustrator Amene Beheshti, is quite a unique and talented young lady. Born in the Persian province of Qom in 1986, Amene was in love with colors and colorful pencils ever since she created her first drawing. 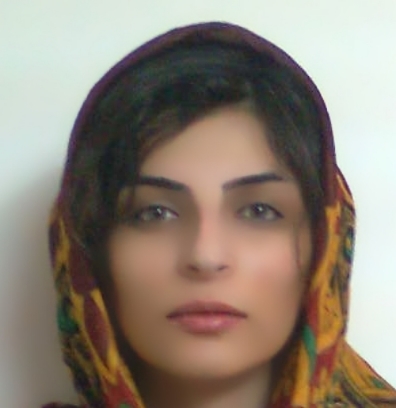 She received her degree in painting from Iran’s Isfahan Art University in September, 2013. Now, Amene works as an illustrator and shows her feelings via her illustrations. When she had the opportunity to read Natalija’s book, Amene felt an instant connection to the meaning of the story that served as inspiration for her delightful drawings of the characters and the world in which they live. Children will be enthralled with the messages in her illustrations and how playful they are with such a creative twist. Amene has many great visual stories to tell through her art. We anticipate seeing much more of her in the near future and look forward to more collaborations. Click to view sample illustrations.